European governments speak as enemies of Israel, behave as enemies of Israel and take decisions only enemies of Israel would take. They are at war with Israel. There is no doubt they hope for results similar to those at Auschwitz, just by other means. If moral values are what Israelis and Jews are looking for in Europe, they are looking in the wrong place. For nearly two millennia, the European continent has been a land of persecution and hatred for the Jewish people. The blood libels and the vilest accusations against the Jews have been accompanied by violence, pogroms, and confinement in ghettos and of course death camps. Eight decades ago, in the 1930's, anti-Semitism was considered honorable and aroused few objections. Later, the Nazi machine set into motion the "final solution," and zealous collaborators existed in virtually all of continental Europe. "Willing executioners" were not only Germans -- far from it. After 1945, anti-Semitism suddenly became unmentionable, and European anti-Semites had to be silent. But they did not disappear. In the 1960s, after the Six Day War, a new way of being anti-Semitic emerged that allowed them to recycle their old way: they could not be "anti-Semites", but they could be "anti-Israelis". They rejoiced when General de Gaulle in France spoke of the Jews as a "proud and domineering people," and saw those words as a kind of official sanction, a green light. Since then, "anti-Israelism" rapidly became mainstream. European politicians, diplomats and journalists have done their best never to miss an opportunity to berate and criticize Israel. Anti-Semitic terms used in the 1930s began to be used again, this time to describe the Jewish State. When the "Palestinian cause" appeared, it immediately became a sacred cause in Europe, never mind what sort of values or governance it espoused. When it seemed possible to accuse Jews of "behaving like Nazis," the opportunity was not missed. Today, hatred of Israel is one of the most shared and prominent feelings in Europe. Using anti-Semitic terms to criticize Israel is common, normal and "politically correct." Fighting for the "Palestinian cause" in the name of "peace" is the only fight that can bring together politicians from the left and the right. Any terrorist attack against Israel is almost unanimously described as a fruit of the "cycle of violence" and of "Israeli intransigence," never mind that it is actually the Palestinians who historically have been intransigent. An Israeli response to a terrorist attack is immediately criticized by European diplomats as "disproportionate." A Palestinian attack is never criticized at all. When anti-Israeli groups rally to boycott Israel and violently invade stores selling Israeli products, the only condemnations to be heard are from Jewish organizations. It is in this context that the recent EU decision to ban its members from dealing with Jewish communities and with any Jew living beyond "1967 borders" must be viewed. European leaders who took the decision, and those who approved it, know perfectly well that there has never been a "1967 border," only armistice lines drawn in 1949, but they act as if they did not know. European leaders know perfectly well how indefensible the "1967 borders" are for the Israeli army, but again they act as if they did not know. European leaders also know that the "1967 borders" place the Old City of Jerusalem and the Western Wall and the Temple Mount (the holiest site of Judaism) outside the boundaries of Israel. They know, too, what the loss of these would mean for Israel and the Jewish people, but they stand their ground. They know, as well, that their position is similar to that of the Palestinian Authority, which seeks ethnic cleansing of Judea, Samaria and eastern Jerusalem, but self-righteously insist. They know that the Golan Heights, under Israeli law and administration since 1981, was used for years by Syria to shoot down from the plateau at the farmers in the valley, and are fully aware of the situation in Syria and its al-Qaeda affiliates near the Golan Heights today, but nonetheless stand fast. For more than four decades, several European countries, and the European Union itself, have established close and compromising relationships with various regimes in the Arab world. They have become prisoners of what is called Europe's "Arab Policy" -- with full support for the "Palestinian cause" and "anti-Israeli" activities and movements, regardless of how thoroughly detrimental these might be to their own survival -- as so presented by Bat Ye'or in her prophetic book, Eurabia, published in 2005. European leaders who voted for the ban and those who approved it also stand their ground in part because migration flows have changed the demographics of Europe, and because in Europe the number of Muslims -- a significant proportion of whom have become radicalized -- has sharply increased. Europe today is therefore not only a prisoner of Europe's "Arab Policy," support for the "Palestinian cause" and "anti-Israeli" activities and movements: it is also hostage to its Muslim population, to Islamists, and to the immense success of the campaign of intimidation waged against it by Muslims, such that any incident, or any political position unpleasant to Muslims, can lead to riots. When Israel's leaders appeal to Europe's "moral values," they should realize that when the subject is Jews, almost all Europeans abandoned moral values seven decades ago, and the same may be said for their views of Israel. If moral values are what the Israelis and Jews are looking for in Europe, they are looking in the wrong place. Europe has once again chosen cowardice and complicity. European governments and the European Union are the biggest donors of financial assistance to the Palestinian cause and the Palestinian Authority. They are also the biggest donors to most anti-Israel movements operating in Europe and in Israel. They in fact funded BDS (Boycott, Divestment and Sanctions) movements long before they took the decision that now makes BDS official. The Israeli government has warned European governments and the European Union that this may trigger a "serious relationship crisis between Europe and Israel;" in reality the crisis has been ongoing for a long time. On July 26, Defense Minister Moshe Ya'alon ordered the Coordinator of Government Activities in Judea, Samaria and Gaza to turn down any request by the European Union concerning these regions. In an article published July 27 in the Jerusalem Post, Caroline Glick suggested further Israeli responses to the European decision: "passage in the Knesset of a law requiring all Israeli entities that agree to operate under the EU's funding guidelines to register as foreign agents and report all EU contributions." "Those contributions," she added,"should be taxed at the highest corporate tax rate." As "Area C" is the area of Judea and Samaria where Israel exercises most civil and military authorities, Glick writes that Israel should "suspend all EU projects in Area C. Future EU projects should be subject to intense scrutiny by the civil administration. Israel's default position should be to reject, rather than approve such requests, given their hostile intent." Israel's leaders surely see that European governments and the EU are not friends of Israel. European governments and the EU have never been friends of Israel. Now, they are less friends of Israel than ever. The likelihood that they will adopt a more positive attitude toward Israel is nil. 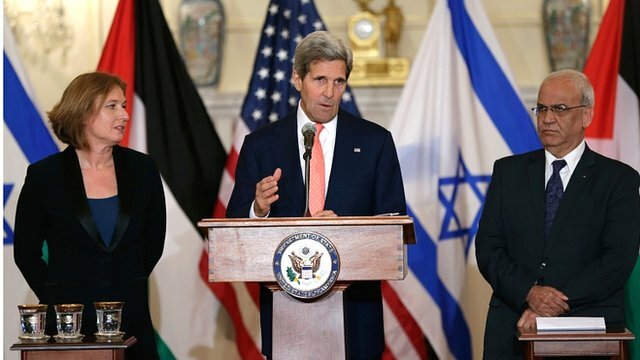 They speak as enemies of Israel. They behave as enemies of Israel. They take decisions only enemies of Israel would take. They are at war with Israel. They do not wage war directly: they engage battle through other channels, hypocritically, viciously, and cowardly. In the 1940s, Europe was the continent of Auschwitz. Today, Europe is a continent where politicians and technocrats support what Abba Eban called the "Auschwitz borders". There is no doubt they hope for results similar to those obtained in Auschwitz, just by other means. In an urgent new briefing, Amnesty International warns that in the latest stand off in Syria pro-government forces are killing civilians "with impunity"
"Eyewitnesses described seeing bodies piled up in the streets and civilians rounded up by pro-government forces. "Amnesty has warned that all civilians in the vicinity of opposition fighters’ bases in the governorate of Tartous in Syria are at risk of summary execution by pro-government forces, after a spate of killings in and around the village of al-Baydah and the city of Banias." The United States and governments in Europe have called for an immediate ceasefire and have specifically demanded that civilians not be targeted. However, there is widespread evidence that men, woman and children have been killed by supporters of Syrian President Bashar Al-Assad merely on the presumption that they might oppose him, or be in some way sympathetic to people who do. "Last weekend 13 members of the same family in al-Baydah were killed, with the bodies of three brothers found with bullet wounds just outside their home and four female relatives and six children between the ages of two and 13 found dead inside the house. The killings took place shortly after pro-government forces clashed with opposition fighters close to the family’s home. "In a new ten-page briefing, Amnesty says that more than 250 civilians in the same village and the nearby city of Banias were also killed in May, with eyewitnesses describing bodies piled up in the streets in the Ras al-Naba’ district of Banias, and civilians being rounded up by pro-government forces." “Pro-government forces seem to be targeting civilians in these areas with total impunity. “This raises serious concerns that civilians in al-Baydah and Banias, particularly those in vicinity of opposition fighters, are being targeted as a deliberate tactic to forcibly displace as many civilians as possible in order to leave opposition fighters more exposed and without a local support base." The human rights group called for the United Nations to be granted immediate access to Syrian territory so as to investigate all allegations of massacres of civilians since the conflict began two years ago. Three top Muslim Brotherhood leaders have also been referred to court on charges of inciting violence. 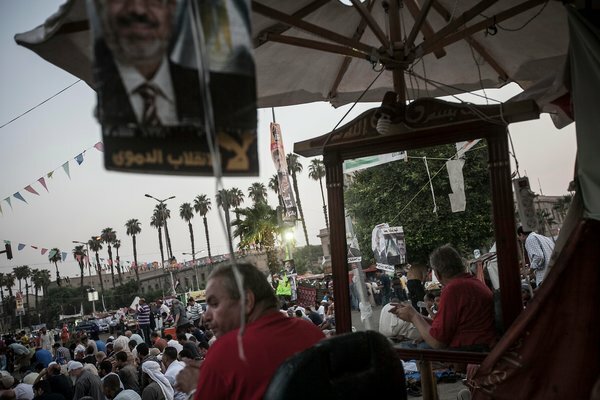 The movement's supporters have staged sit-ins for several weeks since President Morsi was removed on 3 July. The main protest sit-in is at a square near the Rabaa al-Adawiya mosque in the capital's north-east, where deadly clashes erupted on Saturday killing 70 people, and in Nahda Square near the main campus of Cairo University. "The continuation of the dangerous situation in Rabaa al-Adawiya and Nahda squares, and consequent terrorism and road blockages are no longer acceptable given the threat to national security," Information Minister Dorreya Sharaf el-Din said, speaking in a televised statement. Mr El-Din said the police had been tasked to end the demonstrations "within the law and the constitution". The interim government had earlier warned that any violation of the law would be dealt with "firmly". Last week, the army called on its supporters to take to the streets to give military chief Gen Fattah al-Sisi a mandate to deal with violence and "potential terrorism". Also on Wednesday, Egyptian prosecutors referred Muslim Brotherhood leader Mohammed Badie, his deputy Khairat al-Shater and senior leader Rashad Bayoum to trial over allegations of inciting the killing of protesters last month. Releasing Prisoners -- A Price Too Steep? Good tidings. Peace talks are set once again to resume after a tediously long hiatus. All previous attempts to start talks between the State of Israel and the Palestinian Authority have floundered on the shoals of negativity. The Palestinian Authority insists that Israel is at fault, it would not come to the bargaining table as long as Israel encouraged construction of Jewish settlements on land the Palestinians claim as their own. In point of actual fact, spoken not to the outside world, but within the Arab world, and particularly within the West Bank and Gaza, Palestinians claim the land that the State of Israel sits upon. It has been stated without equivocation long enough, loudly in the cheering ears of the Palestinians and more quietly abroad, but international ears are closed to that reality. So initial talks are underway to reach initial agreement on the manner in which peace talks will proceed. The Palestinian Authority refusal to engage in such talks as long as Settlement activity continues has been set aside with Israel's agreement to release 104 Palestinians from Israeli jails. There is nothing particularly unusual in Israel releasing large numbers of Palestinian incarcerates, some thousand or so have been released at various times as "good will gestures" to placate the Palestinians or to procure the release of a single Israeli held by the Palestinians, dead or alive. PA President Mahmoud Abbas has already given notice that, whether or not Israel may be nervous about its security in the event of the creation of a State of Palestine, no Israeli troops, not one Jew, will be permitted to be stationed within the new country. He has, however, insisted and manoeuvred successfully for the release of Israeli Arabs who have committed atrocities against Jews in Israel. Mr. Abbas clearly represents the best interests of Palestinians and extends that kind courtesy to Arab Israelis, which is to say Palestinian Arabs who have full Israeli citizenship. In many instances Israel would be far better off without the presence of citizens of Arab ancestry. Though many Israeli Arabs are loyal to the country that has given them democratic equality and a voice in the Knesset, many more are not. But imagine the howls of outrage from the international community were Israel ever to venture a statement similar to that of President Abbas? The release of those 104 Arab prisoners from Israeli jails represents a down payment on the future between Israel and the Palestinians, evidently. This is the United States and the European Union in collusion, and playing hardball by their rules, imposed upon Israel. Sidelined and ostracized, the international community informing Israel what its borders must be without prejudice and injury of course, Israel has little option in that friendlessly hostile geography but to agree. And so, murderers of Jewish men, women and children, glorified by the Palestinian Authority as heroic "resisters" must be released as evidence of Israel's "goodwill". Twenty-six-year-old schoolteacher Rachel Weiss, her children age 3, 2 and 9 months, killed travelling on a bus by a Molotov cocktail will never know that her murderer was a hero and was accordingly released from prison. Nor will David Delarosa, 19, a stranger also killed trying to save them. There was one of Israel's leading historians, Professor Menacham Stern, another victim. There were teachers, lawyers, pregnant women, French tourists. And then there were also dozens of Palestinians whom it was claimed were collaborators with Israel, also killed. One of the released prisoners was involved in the murder of 15 suspected Palestinian traitors. According to a poll 84% of Israelis were opposed to the release of prisoners, even in exchange for a return to the negotiating table. Their memory is not that poor that they cannot recall other negotiations when Palestinians were assured all their demands would be accepted. And each and every time that success was dancing tantalizingly before the hopeful eyes of the negotiators, the Palestinian side demurred. Signing a peace agreement with Israel was too daunting, too redolent of "losing", losing face, losing their refugee status and the attention and sympathy of the outside world; above all, losing the need to reclaim the entire territory. "Winning" could only be declared by taking possession of the land Israel sits upon. "The very notion of Palestinian preconditions before even reaching the negotiating table, to enter a process in which they would be the potential beneficiaries -- is utterly absurd. But when it involves the release of some of the most vicious terrorists of our time, it becomes obscene", wrote Dani Dayan, businessman and chief foreign envoy of the pro-settler Yesha Council, predictably enough. "I know the negotiations are going to be tough, but I also know that the consequences of not trying could be worse", said American Secretary of State John Kerry whose peripatetic activities have resulted in the current "talks". Tough is how the demands of the Palestinians can be characterized; envisioning the evisceration of a Jewish State that they believe has no business in the Middle East; no heritage, no call to return to what was once theirs. "In every single second you can hear the sound of mortars and rockets and air strikes. The regime is so close you hear the sound of them launching he missile, and then you hear them land." The proud gains that the Free Syrian Army made in the last year are dissipating. The outlook for rebel fighters looks so bleak, said 27-year-old Adnan that he and his colleagues have taken to wearing suicide belts. Should they be captured they will detonate them. It will be their final statement. That old adage, give no quarter, expect no quarter informs them of their fate should they fall into the hands of the military or Hezbollah. "All the infrastructure and most of the district is completely destroyed", commented Mohammed. "It will be a difficult fight for the army as the streets are so narrow that they cannot bring their tanks. They will shell it very, very heavily until it is destroyed", said a resident of the Old City, the very last rebel-held part of Homs, where it is estimated roughly one thousand rebels fighters remain. And he next battle destination for the military. Khalidiya's capture by government troops represents a loss of huge dimensions to the rebels. Syrian state television exulted over the "collapse of the terrorists' citadel". The army of President Bashar al Assad's Alawite government had "restored security and stability across the neighbourhood". Security and stability are difficult to discern in the destroyed 'neighbourhood'. The regime, it appears, has won back the country's central core. With the clearing out of insurgency forces from Homs the route linking Damascus to the coastal areas of Latakia and Tartous, the heartland of Bashar al-Assad's minority Alawite sect, has been accomplished. For the rebels the loss of Homs would represent a situation where they are left with a small amount of terrain along the border with Jordan and a fractured control of the north. Without the stepped-up backing of fighters from Hezbollah, government soldiers would never have been able to realize this success. Their assistance in the last month has been invaluable to the regime. Allowing them to launch the final attack after having surrounded Khalidiyah, choking off food and weapons supplies to the rebels. Salim Idris, head of the rebel Free Syrian Army had attempted to forward ammunition and guns, but was unable to succeed; the area too tightly surrounded. Skype communication from over a dozen activists who had lived in the area for the past two years plugged into a satellite Internet connection went off line Sunday, no longer able to send news of government attacks to the outside world. "It is an insult to their victims - and a defeat for the global cause of human rights." The UN has announced that elections for 14 influential seats on its Human Rights Council will be held on November 12th, with the world body for the first time confirming that candidates include China, Russia, Saudi Arabia, Vietnam and other regimes criticized for widespread human rights abuses. Iran pulled out of the race after the July 9th revelation by UN Watch, a non-governmental human rights group based in Geneva, sparked outrage worldwide. According to a new and updated chart published by UN Watch, compiled from the UN website and diplomatic sources, the Assad regime of Syria is still running, as is Cuba. 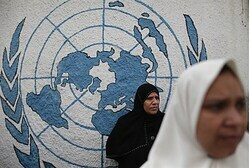 UN Watch executive director Hillel Neuer said that Syria's bid is expected to fail. "Yet given that the UN recently elected Syria to the human rights committee of its world agency on education, science and culture, and to a decolonization committee charged with upholding fundamental human rights, we can't afford to take anything for granted," he added. "We need to actively oppose every one of these cynical bids." "The U.S., the EU, UN chief Ban Ki-moon and High Commissioner for Human Rights Navi Pillay must end their silence over outrageous candidacies from China, Russia, Cuba, and Saudi Arabia, otherwise these and other serial abusers will surely win," said Neuer. "The world's leading voices for democracy are turning a blind eye as mass murderers and misogynists are infiltrating the world's highest human rights body. Words matter. What is said and done in the name of human rights at the UN affects hearts and minds the world over. It's time for Washington, Paris, London and Berlin to speak out." "By electing massive abusers of human rights to the very body charged with protecting them, the UN is putting rotten ingredients into the soup. We should not be surprised by the results," said Neuer. The council already includes Kazakhstan, Pakistan, Mauritania, Venezuela, and other countries with dismal human rights records. UN Watch is working with dissidents and NGOs from China, Cuba, Russia and Saudi Arabia to oppose their bids. "Candidates like Algeria, China, Cuba, Russia and Saudi Arabia have one thing in common: they systematically violate the human rights of their own citizens," said Neuer, "and they consistently vote the wrong way on UN initiatives to protect the human rights of others." "It's not only that these governments are unqualified; they are the ones who should be in the dock of the accused, not sitting on high as prosecutor and judge." "It is an insult to their victims -- and a defeat for the global cause of human rights -- when the UN allows gross abusers to act as champions and global judges of human rights," said Neuer. "When the U.N.'s highest human rights body becomes a case of the foxes guarding the henhouse, the world's victims suffer." "The U.S. and EU should encourage worthy candidates from each regional group to throw their hats in the ring, and then lobby for their election over the current slate of tyrannies and human rights abusers," said Neuer. "Countries that murder and torture their own people must not be allowed to become the world's judges on human rights," he added. Israeli and Palestinian negotiators will aim to reach a "final status" agreement over the next nine months to end their long conflict, the US secretary of state has said. John Kerry said another meeting between the two sides would be held in either Israel or the Palestinian territories in the next two weeks. This, he said, would begin the process of formal negotiations. Mr Kerry said "all issues" would be on the table for discussion. "They are on the table with one simple goal: a view to ending the conflict, ending the claims." Mr Kerry said the parties were committed to "sustained, continuous and substantive negotiations on the core issues" that divided them. He was speaking at a news briefing after two days of talks between the two sides in Washington DC. Earlier, US President Barack Obama met the Israeli and Palestinian negotiators - Israeli Justice Minister Tzipi Livni and lead Palestinian negotiator Saeb Erekat - at the White House. Palestinian refugees: Israel rejects idea of a Palestinian "right of return"
Security: Palestinians want full attributes of normal state; Israel wants to curtail this. "I know the path is difficult," Mr Kerry acknowledged at the briefing, before insisting that the meetings in Washington had been "constructive and positive". He praised the "courageous leadership" shown by Israeli Prime Minister Benjamin Netanyahu and Palestinian Authority President Mahmoud Abbas to get to this point. At the same briefing, Mr Erekat, said he was "delighted" that all issues would be tackled. "Palestinians have suffered enough... It's time for the Palestinians to live in peace, freedom and dignity within their own independent sovereign state." "It is our task to work together so that we can transform that spark of hope into something real and lasting. "I believe that history is not made by cynics. It is made by realists who are not afraid to dream. And let us be those people." The peace talks between the two sides began again on Monday following a three-year hiatus after Israel approved the release of more than 100 Palestinian prisoners. In the last five months, Mr Kerry has made six official visits to the Middle East in an effort to restart the negotiations. A former US ambassador to Israel, Martin Indyk, has been appointed US special envoy to the talks. The seasoned diplomat played a key role in the failed Camp David talks of 2000 under former President Bill Clinton. The issue of settlement-building halted the last direct talks in September 2010. Settlements are considered illegal under international law, although Israel disputes this. On Sunday, the Israeli cabinet approved the release of 104 long-term Palestinian prisoners by 13 votes to seven. The inmates are to be released in four stages over a number of months, linked to progress in the peace process. Their identities have not been published, but according to reports they include those who have killed Israelis or Palestinian informers. Sunday's cabinet meeting was delayed by an hour as Mr Netanyahu sought support for his proposal. The cabinet also approved a draft bill requiring a referendum for any peace agreement with the Palestinians that involves territorial concessions. Mr Netanyahu's office said it was important that every citizen voted directly on such decisions. Egypt's Interim Prime Minister Hazem El-Beblawi said he is "not sure" if security personnel used live ammunition against supporters of ousted president Mohamed Morsi during clashes early Saturday, stressing the importance of respecting human rights. "I am not sure," he replied when asked by CNN if police or army forces had opened fired at pro-Morsi crowds in Cairo's Nasr City. El-Beblawi stressed that anyone who breaks the law, including government officials, should be held accountable. He added that he was sure an instruction had been given regarding Saturday's events, and he "was told by the minister that they took the instruction very seriously. But we will undertake an investigation to make sure that there is no abuse." "But what surprises me is someone wants to make his voices aloud, how come they take to the street after 1 o'clock in the morning," El-Beblawi stated during the interview conducted in English. The Ministry of Health said at least 80 were killed in the Saturday clashes that occurred less than two kilometers away from the massive pro-Morsi sit-in at Nasr City's Rabaa Al-Adawiya Mosque. Doctors at the sit-in's field hospital said at least 200 protesters were killed and 4500 injured, most of whom they say were fatally shot by police forces. According to the Egyptian prosecution and eyewitness accounts, Morsi’s supporters were attempting to rally on top of the Sixth of October Bridge, which prompted security forces to take action. 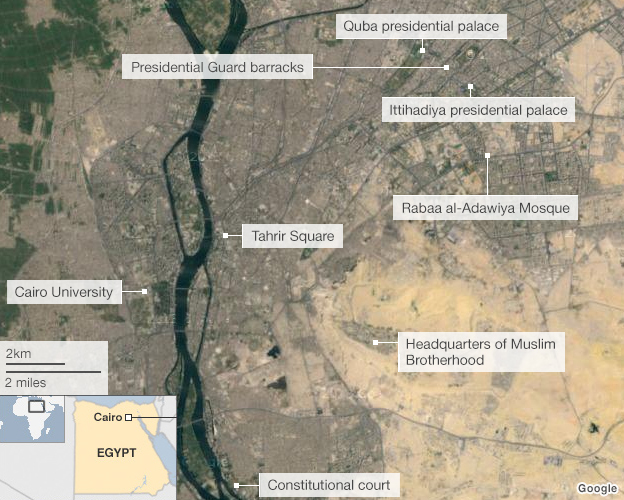 Widely circulated videos showed police troops firing rounds in the direction of Morsi's supporters, some of whom also appeared to be using firearms. 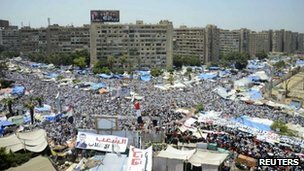 In the weeks following Morsi's ouster on 3 July, thousands of pro-Morsi protesters have staged sit-ins at Rabaa Al-Adawiya and in Giza's Al-Nahda Square, located in front of Cairo University. They have also been organising marches across Egypt to demand Morsi's reinstatement as president. The number of protesters at Rabaa Al-Adawiya increased on Friday, with crowds extending to the Unknown Soldier Memorial (one kilometre away) and the nearby Sixth of October Bridge. The Egyptian army removed Morsi from the presidency after one year in office following nationwide protests against the former leader. 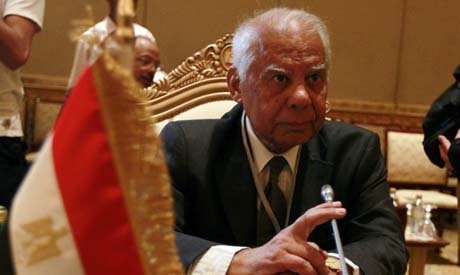 El-Beblawi, however, stressed that it there has been no interference in politics by the military since Morsi's overthrow. "As far as I am concerned, I feel very much in charge with my council of ministers, and I haven't seen any indication or any sign from anyone to tell me what to be done," he stated. "The moment I feel that the civilian government is besieged, I will put in my resignation." "You'd think they could at least put their garbage in all the bins. I'm also pretty surprised that people who call themselves Christians would throw away all this food." Well, this was a Papal celebration for Catholic youth, after all. And Mr. da Silva is a crotchety 75-year old who has seen much of life. A retired farm worker, he hasn't the means to live if he 'retires' completely from work. So he supplements his income through performing a huge favour for society and the environment that just incidentally also benefits him financially, although in a meagre fashion. He collects empty cans for recycling. And he felt fairly disgusted seeing Copacabana's mosaic sidewalks piled with trampled cardboard, plastic bags, empty water bottles, cookie wrappers and other food waste as orange-uniform-clad trash collectors did their best to restore a semblance of tidy order out of the remains of a crowd estimated at three million people assembled to hear Pope Francis speak in person at his final mass in Brazil. Clearly the youth, whom Pope Francis enjoined to spread their faith "to the fringes of society, even to those who seem farthest away, most indifferent...The church needs you, your enthusiasm, your creativity and the joy that is so characteristic of you", have not quite subscribed to that old adage that cleanliness is next to Godliness. Slovenliness is far more 'characteristic', obviously, of youth. And joie de vivre becomes them. They are young, after all, and youth are not particularly driven to tidiness and respect. Their sheer numbers was amazing, crowding themselves within an entire four kilometre crescent of the broad beach. Flag-waving faithful. Some of them seizing the moment by taking an early morning swim in the Atlantic. While others bequeathed Pope Francis with their very best regards, tossing T-shirts, flags and soccer jerseys at him as he drove by in his open-sided car. For his part, the pontiff was clearly delighted with the lively scene. He did the religio-political thing of kissing babies, graciously accepting gifts, waving to the crowd, partaking of a mate tea handed to him. Perhaps even instinctively holding his breath at the miasmic stench of garbage and human waste in the humid environment which must have helped enormously to give the beach the atmosphere of a squalid refugee camp. That a good time was had by all -- youth, that is -- was attested to by the young people who spent the night on the beach -- the enjoyment of an all-night slumber party ending the Catholic youth fest -- wrapped in flags and sleeping bags as protection against the night-time frigid air. "We were dying of cold, but it was worth it. It was a tiring day, but it was a great experience", enthused Lucrecia Grillera, 18, from Argentina, approvingly. Narciso Contreras for The New York Times Supporters of Egypt’s ousted president, Mohamed Morsi, at Cairo University on Sunday. They pray day and night as Koranic verses echo on a loudspeaker system. Three months after winning the strategic town of Al Qusayr, the combined Syrian and Hizballah armies have captured the historic Muslim Brotherhood city of Homs, 162 kilometers northeast of the capital Damascus. debkafile’s military and intelligence sources report that Sunday, July 28, jeeps with recoilless guns, pick-up trucks with anti air guns - all loaded with defeated rebel Farouq Brigades fighters were to be seen fleeing the city. As they fled, Syrian and Hizballah army tanks facing no resistance rolled into the center of Homs, the old city and the Khladiyeh district and hoisted images of President Bashar Assad. The fall of Homs, which the rebels designated from the start of the uprising “capital of the revolution,” opens the way for Syrian-Hizballah forces to move north on Aleppo, Syria’s largest city. Aleppo’s capture would grant Assad a decisive victory in the civil war and confer on the Lebanese Shiite terrorist Hizballah for the first time the standing of an armed force with strategic capabilities, as well as giving the Iran-Syrian-Hizballah alliance a major boost. Early Monday, Syrian ground-to-ground missiles were pounding rebel fortifications Aleppo to soften their resistance, while Syrian air force helicopters struck Kurdish PYG units ranged along the Syrian-Turkish border. Although the helicopters flew over the frontier, they did not run into any interference from the Turkish air force, its artillery emplacements or the NATO Patriot anti-missile batteries deployed there. The Kurdish units were targeted to prevent them moving into Aleppo in defense of the city’s Kurdish quarters against the Syrian army-Hizballah advance. After the fall of Homs and the fast approaching Syrian assault on Aleppo, Washington, Jerusalem and Ankara have run out of time for quibbling whether to step into the Syrian conflict. The critical decision facing them now is whether to save Aleppo from a savage Syrian army-Hizballah onslaught that will determine the final fate of the war, or continue to stand aside. The various tactics outlined by top US soldier Gen. Martin Dempsey last week for US military intervention at a cost of $1 billion per day have been overtaken by events. The Obama administration must now decide very quickly whether Assad and his Russian and Iranian backers should be allowed to win the Syrian civil war or stopped at Aleppo. "The Burgas bombers were maintaining part of Hezbollah's structures in Canada and Australia and had contacts with other representatives of this organization." "There is data showing the financing and connection between Hezbollah and the two suspects . . . What can be established as a well-grounded assumption is that the two persons whose real identity has been determined belonged to the military wing of Hezbollah." 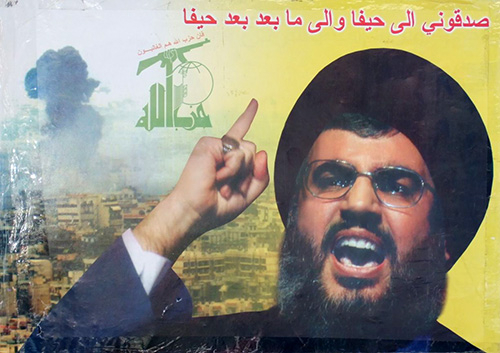 Lest any doubt the evidence that distinguishes the terrorist credentials of Hezbollah, the non-state militia that is a creature of the Islamic Republic of Iran, the statistics are all there for observation. It is a non-state militia because it is answerable only to Iran, although it is a political-ideological entity that exists within Lebanon, integrated into its government at the political level, and maintaining its military separate and apart from that of the nation, having refused to meld its military with that of the Lebanese government. It is far better armed and trained than the Lebanese military, and remains a force to be reckoned with, one that the Lebanese government treads lightly with. To its past credit goes planned attacks in Thailand, Kenya, Turkey, India, Azerbaijan, Cyprus and Georgia. Its list of atrocities include the 1983 barracks bombing that killed 241 American marines and 58 French paratroopers in Beirut. There were bombings in Paris in 1985 and 1986 killing 13; the 1985 hijacking of TWA flight 847 in Greece, and a 1984 Spanish bomb blast that killed 18. And then there is its attack on the Israeli embassy in Buenes Aires in 1992, where 29 were killed, and the later 1994 bombing of the Argentine Israelite Mutual Association in Buenos Aires where 85 people lost their lives. But Hezbollah has been extremely busy latterly in Syria, where its Shia jihadists have been dispatched by their leader to fight alongside Syrian President Bashar al-Assad in his bloody crack-down on Sunni Syrians who have dared demand equality, and finally his departure from Syria. Just Hezbollah doing its part for the greater glory of fanatical Islamism. Bulgarian authorities now believe that the Hezbollah operative with Canadian citizenship, along with his partner in the deadly bomb attack on Israeli tourists travelling to the Burgas Black Sea resort may have sought refuge not in Lebanon among the Shia Hezbollah whose interests they represent, but in another terrorist enclave held by Sunni fanatics in Gaza, among Hamas. Australia has not yet declared Hezbollah a terrorist group, nor listed them as such, though they may be on track to do just that. Meliad Farah, 32, one of the Burgas bombers is an Australian citizen. Recruited along with the Canadian citizenship holder Hasan El Hajj Hassan when they were both studying engineering at the Lebanese International University. Canada, on the other hand, does list Hezbollah on its terror list. Yet funding from Hezbollah filtered through to Australia and Canada to enable the two men to carry out their Burgas bombing mission. Authorities in Bulgaria believe their plan was for the bus to blow up en route to the Black Sea hotel with the use of a remote detonator, having a 10-km control range. They feel that the Hezbollah agent planting the bomb hidden in a backpack among the luggage, had been somehow unnerved -- resulting in his accomplices who fled to safety while he blew up -- detonating the bomb prematurely. DNA recovered leads investigators to the theory that the man who was blown up planting the bomb was related to Hassan El Hajj Hassan. The pity of it all was that the premature detonation did not take place before the Israeli passengers embarked on the bus, killing five of them along with the Bulgarian bus driver. Seeking the legitimacy of wide public approval, Egypt's army chief Abdel Fattah El-Sisi declared he was prepared to act on the peoples' wishes. He sought a "mandate to deal with violence and potential terrorism", caused by the incitement to defy the authority vested in him by popular appeal as head of the Supreme Council of the Armed Forces of Egypt, by the Muslim Brotherhood. Mohammed Morsi, after removal from power as president of the country has now been charged with criminal offences. Offences relating to his having conspired with Hamas to launch a prison break from a prison in Cairo's northern region to release himself and dozens of other high-ranking Muslim Brotherhood officials from imprisonment. During the break-out fourteen prison guards were killed. It seems reasonable that a judicial investigation leading to a trial take place. Of course, it is questionable to begin with if this was known before the Muslim Brotherhood offered Mr. Morsi up as their presidential candidate a year ago, why he wasn't charged then. Perhaps the answer lies in the fact that there was chaos, that there were hopes that matters could be settled, that all factions in the country could be accommodated through the advent and the results of a fair and democratic federal election. Bypassing the reality that the Muslim Brotherhood represented the only political group that had long succeeded in regulating itself, in forming a well designed political structure prepared to launch an election campaign. Unlike the other groups whose appearance on the scene was relatively new and relatively by chance, with little organizing experience leaving them incapable of launching a meaningful campaign where those groups who had much in common socially and ideologically could merge and support one another to achieve a much greater success than they were able to mount, leaving them outside the levers of government, even though their actions had led to the downfall of the Hosni Mubarak autocracy. With General Sisi's invitation to Egyptians to appear in force of numbers to validate his actions, came a matching declaration of the Muslim Brotherhood, exhorting their members to match the numbers of the anti-Morsi campaigners. And this is what set the stage for the pandemonium that followed, those who died on Saturday, and the hundreds who were wounded. The military did fire on protesters, and they did so primarily in an effort to disperse them, and to halt the chaos that saw the two sides converging in a multi-pronged attack on one another. It would be expected that the military has arms and they will use them if and when deemed necessary. And it is deemed necessary when, from among the crowds that oppose their dismantling of the government that the Muslim Brotherhood assembled and the removal of Mohammed Morsi, weapons have been used to fire at the military, provoking deadly confrontations. 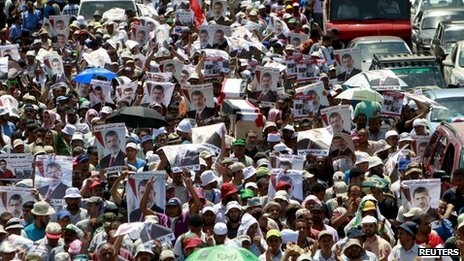 According to doctors stationed at the field hospital of the pro-Morsi group in Nasr City, 200 protesters were killed, 4,500 injured; shot, they claimed. 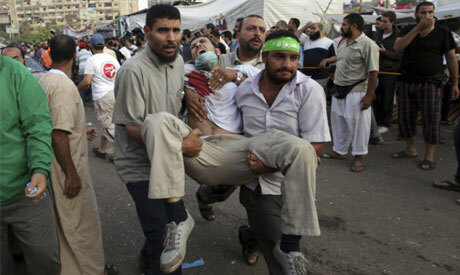 The Ministry of Health disputes the figures, claiming 80 people to have been shot dead early Saturday. Forensic specialists have been charged by the prosecution to determine the cause of those deaths. Eyewitness accounts claim that Morsi supporters rallied atop the Sixth of October Bridge, blocking it, causing action from security forces. Nasr Street leading to the bridge was blocked, and Morsi supporters attempted to torch the Egypt Expo & Convention Authority. Police have arrested 74 people suspected of having spurred the violence. They seized firearms, ammunition and knives. Massive sit-ins have been staged for the past several weeks near the Rabaa Al-Adawyia Mosque, along with sit-ins at Al-Nahda Square across from Cairo University, as well as organized marches across Egypt, demanding Morsi's reinstatement as president of the country. On Friday, encouraged to increase their numbers after morning prayers, more protesters appeared near the Sixth of October Bridge. The Tamarod youth Rebel movement, recognized as the driving force behind the June 30 protests resulting in the removal of Mohammed Morsi through its co-founder Mahmoud Badr has proposed inspections by prosecutors, rights campaigners and Arab League members at the protest camps to remove any weapons they may discover there. He recommends that the delegates be given powers of arrest in the event of arms being found, or the identity of suspects causing violence are revealed. This type of initiative, he contends, should be designed and practised as a way in which the country could move forward toward "rejecting the arming of [protest] squares and restoring the value of peaceful sit-ins". WASHINGTON — A rising number of radicalized young Muslims with Western passports are traveling to Syria to fight with the rebels against the government of Bashar al-Assad, raising fears among American and European intelligence officials of a new terrorist threat when the fighters return home. 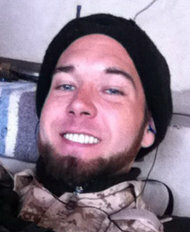 Eric Harroun, a former Army soldier, faces charges related to allegations that he fought with the Nusra Front. More Westerners are now fighting in Syria than fought in conflicts in Iraq, Afghanistan, Somalia or Yemen, according to the officials. They go to Syria motivated by the desire to help the people suffering there by overthrowing Mr. Assad. But there is growing concern that they will come back with a burst of jihadist zeal, some semblance of military discipline, enhanced weapons and explosives skills, and, in the worst case, orders from affiliates of Al Qaeda to carry out terrorist strikes. Classified estimates from Western intelligence services and unclassified assessments from government and independent experts put the number of fighters from Europe, North America and Australia who have entered Syria since 2011 at more than 600. That represents about 10 percent of the roughly 6,000 foreign fighters who have poured into Syria by way of the Middle East and North Africa. Most of the Westerners are self-radicalized and are traveling on their own initiative to Turkey, where rebel facilitators often link them up with specific groups, terrorism experts say. Many have joined ranks with the Qaeda-aligned Nusra Front, which American officials have designated as a terrorist group. So far, terrorism experts say, there have been no documented terrorist plots linked to European or other Western fighters returning from Syria, but France’s interior minister, Manuel Valls, recently called the threat “a ticking time bomb.” Security services across Europe are stepping up their surveillance efforts and seeking ways to make it more difficult for people suspected of being jihadists to travel to Syria. European and other Western intelligence agencies are rushing to work together to track the individuals seeking to cross the border into Syria from Turkey, though several American officials expressed frustration that Turkey is not taking more aggressive steps to stem the flow of Europeans going to fight in Syria. Hans-Peter Friedrich, Germany’s interior minister, is pushing for an European Union-wide registry for all foreigners entering the bloc as one of the measures that will help better track returning radicals. While such a registry will take time to create and put in place, the move reflects the level of concern and the understanding among German security leaders that an individual country’s efforts will be ineffective without the assistance of its European partners, given the open borders across much of the Continent. The German authorities have so far focused domestic efforts on preventing people suspected of being radicals from leaving the country. In the northern state of Schleswig-Holstein, the security authorities this month identified 12 people thought to be radicals, who they said had given “concrete indications” that they were planning to leave for Syria. Because the legal procedure for taking away a passport can be lengthy, the authorities will often simply pay a personal visit to the suspected radicals, warning them that the authorities are aware of their plans to travel to Syria and suggesting that they refrain from so doing. Authorities believe, however, that in many cases the suspected radicals sidestep such measures by traveling to a neighboring European Union country first, and then from there to Turkey, where German citizens can enter with only a personal identity card. They can then fairly easily slip over the border into Syria. Public prosecutors in the Netherlands have said that while the authorities cannot stop would-be jihadists from leaving the country, they can combat recruitment, which is against the law and carries a sentence of up to four years in jail or a fine of more than $100,000. A precise breakdown of the Western fighters in Syria is difficult to offer, counterterrorism and intelligence officials said, but their estimates include about 140 French citizens, 100 Britons, 75 Spaniards, 60 Germans, and as many as a few dozen Canadians and Australians. There are also fighters from Austria, Belgium, Denmark, Finland, Ireland, Italy, Norway, Sweden and the Netherlands, according to a study in April by the International Center for the Study of Radicalization, a partnership of academic institutions based in London, which estimated that 140 to 600 Europeans had gone to Syria. Only about a dozen Americans have so far gone to fight in Syria, according to American intelligence officials. Nicole Lynn Mansfield, 33, of Flint, Mich., a convert to Islam, was killed in May while in the company of Syrian rebels in Idlib Province. About 30 French citizens have returned from the front lines in Syria, according to Mathieu Guidère, a professor at Université Toulouse II and an expert on Islamic terrorism. He said most had been stopped by the domestic intelligence service and held for lengthy questioning under a law passed last year that allows charges to be brought for having traveled to terrorist training camps or combat zones where terrorist groups are involved. Some returned because they were unable to reach the front or find fighters to arm them or train them, Mr. Guidère said. Many end up lost among the refugees on the Turkish and Jordanian borders, and after waiting around for a while come home. Others are rejected by the Free Syrian Army, which does not want them, he said. Many who end up staying join the Nusra Front, which often divides them into groups by nationality. Recently, the Dutch authorities arrested a 19-year-old woman suspected of recruiting young Dutch Muslims to fight with Islamic extremists in Syria. In April, the Belgian authorities raided 48 homes across the country and detained six men implicated in what prosecutors described as a jihadist recruitment drive for the insurgency in Syria. Some of the men have since been released, Eric Van Der Sypt, a spokesman for the federal prosecutor, said by telephone on Friday. Mr. Van Der Sypt said that the Belgian authorities had recently arrested another man after he returned to Belgium from Syria, but he declined to provide more information, citing the continuing investigation. “We’re still following the phenomenon of people going to Syria from very close by,” he said, referring to residents of places in Belgium like Antwerp and Vilvoorde, a community north of Brussels, who had become involved in a group known as Sharia4Belgium. Reporting was contributed by Melissa Eddy and Victor Homola from Berlin; Alissa J. Rubin, Scott Sayare and Steven Erlanger from Paris; and James Kanter from Brussels. Kitty Bennett contributed research.